I recently had the honor of quilting a very special quilt. I met Barb Owen last November, when she attended a retreat that I was also attending. 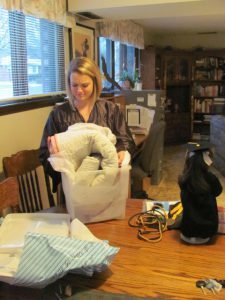 She was there working feverishly on a Sunbonnet Babies quilt for her granddaughter, Kristi. 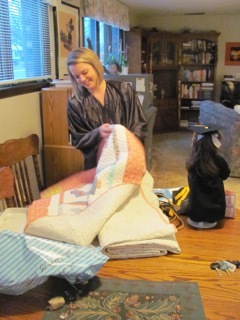 Seems there’s a tradition in Barb’s family of all the girls receiving Sunbonnet Babies quilts for special occasions, and so it fell to Barb to make one for her granddaughter’s college graduation. After all, who is she to break tradition? What a treasure! To own a quilt that was made by your mother and quilted by both your parents! How special. So Barb set out to carry on this tradition, and made Kristi a Sunbonnet Babies quilt of her own. 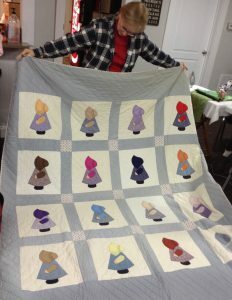 She chose a very traditional Sunbonnet Sue design, and made them all from mostly 1930s reproduction fabrics with some other related prints thrown in for good measure. There are 42 Sunbonnet Babies blocks. The babies are attached using fusible applique, and then machine stitched down around all their raw edges. The quilt is queen-sized, measuring 86″ x 97″. 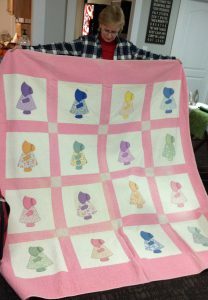 Barb asked me to quilt it for her, and chose a cross-hatched background behind the babies, with piano keys in the outer border. 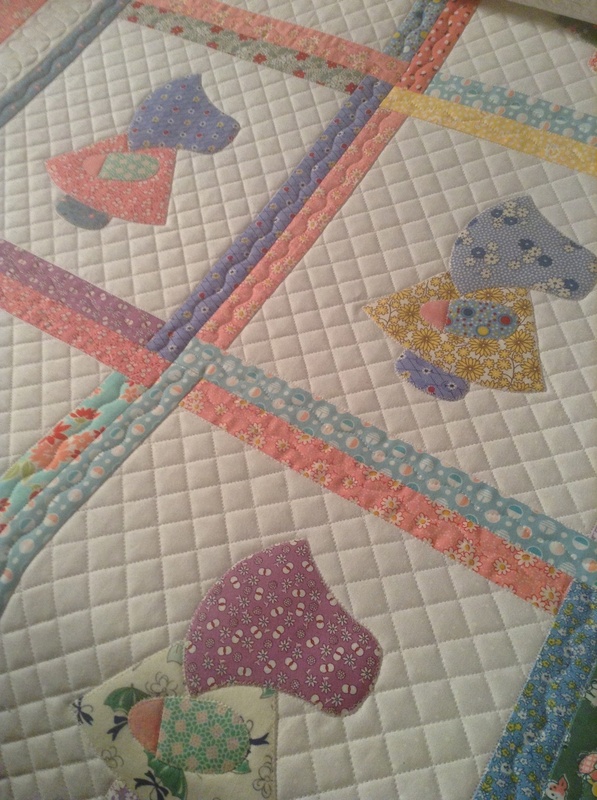 I did a simple wavy line in all the small sashing strips, and outlined each baby’s applique pieces. She said Kristi sleeps under it every night, and hopes that she’ll have it for a good many years. It’s always so wonderful when a quilt has such a special story, isn’t it? I’m grateful to Barb for allowing me to be a small part of it. That is an awesome quilt!!! I love sun bonnet Sue. My mom wanted to make one and never did. So “someday” I would like to make one. Maybe when I get this UFO list tamed. That is a very sweet quilt. I made it for my grand daughter 2 Christmas’ ago. Her favorite color is any shade of purple and pink. I made it queen size. 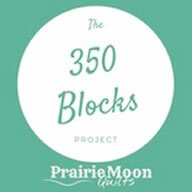 I do have to tell you I might not make the monthly # of blocks. I am having a little difficulty with my hands. But I am trying for sure. I love every one of the quilts. Thanks for putting the pictures in so I could click and enlarge them to really see the details. 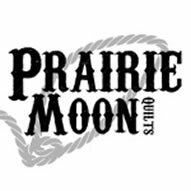 If she’s not a quilter, she ought to be. LOL I love the way her quilt looks with your quilting, good choice. Brings back memories. 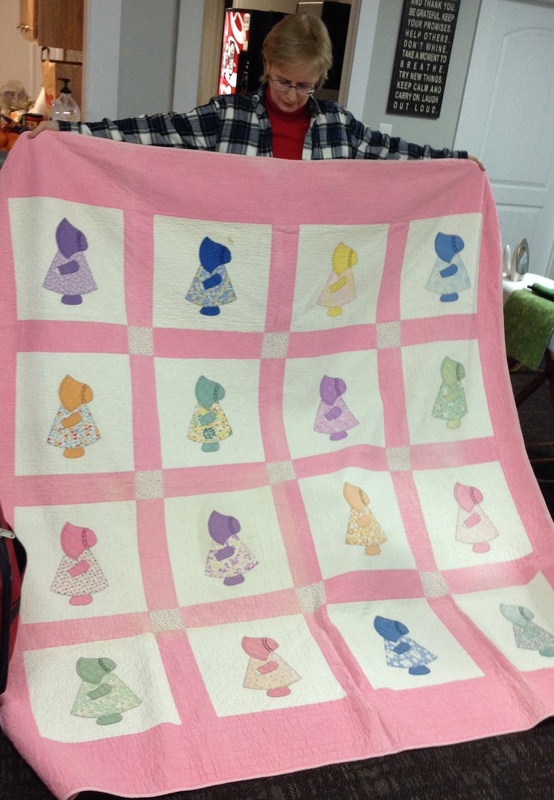 I can’t begin to tell how many Sun Bonnet Baby quilts mom made, and hand quilted most of them by hand. This one is beautiful. 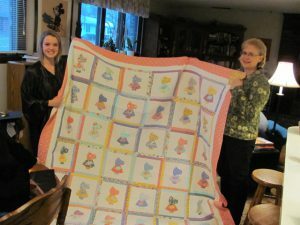 Shelly, thanks for such a sweet article about Kristi’s quilt and our family story. 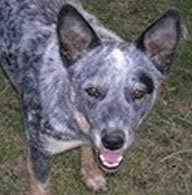 It’s great and I’ll forward the link to Kristi. I’m sure she will be tickled about it. 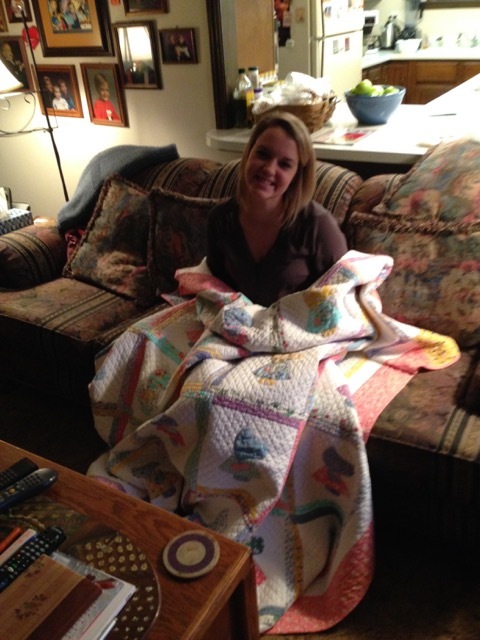 Your quilting and timing were a huge part in making this happen for her. What a great quilting story! 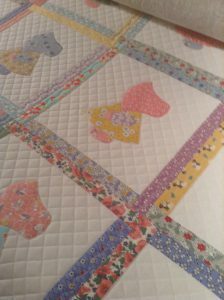 All the quilts are darling. Love how your quilting really makes the appliques ‘pop’. Great job! It inspires me to want to make one, too. Great job, as always, Shelly! And a great story, too! 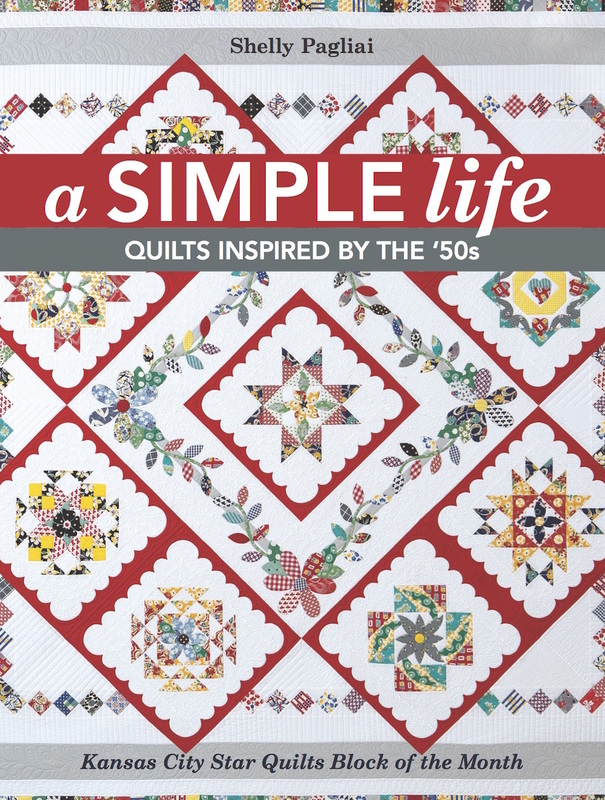 What a great story and beautiful quilt, and your quilting makes it even more special…your stitching is exquisite, and I absolutely love the crosshatch block backgrounds. Congrats on a fantastic finish!